The event to be staged with Sotheby’s also shows that, over and beyond the traditional gallery/auctioneer divide, there is scope for joint projects of benefit to both parties – and to the art market as a whole. 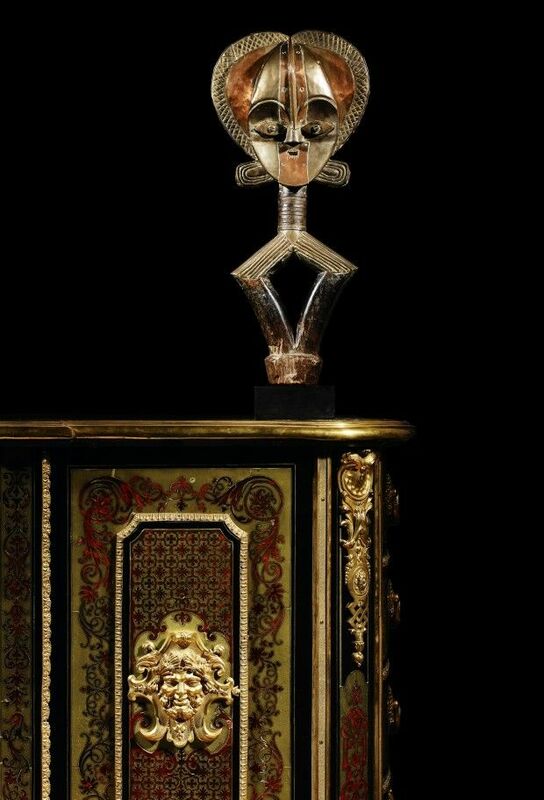 PARIS.- From September 9-22 an exhibition entitled Afrique(s) at Galerie Aveline (94 rue du Faubourg-St-Honoré), staged in association with Sotheby’s, will see African artworks in dialogue with the gallery’s hallmark French furniture and works of art. Aveline and Sotheby’s have two objectives in mounting this joint venture: to help collectors in both fields – French Furniture and Tribal Art – rediscover the atmosphere of the first Paris collections of African Art; and to enjoin connoisseurs to perceive the potential overlap and exchange between objects which may seem to have little in common but are united by beauty of form, evocative power and the talent of their creators. Whether in terms of materials (ebony, mahogany, ivory) or traditional/ animal-based iconography, African art was a source of inspiration for European decorative arts from the 17th century onwards. The exhibition reflects Aveline’s policy of opening the world of decorative arts to other horizons, in the wake of such exhibitions as Exoticism in European Art (2010) and Patrons for Fontainebleau (2012), featuring furniture from Empress Josephine’s Turkish boudoir. More recently Galerie Aveline staged an innovative confrontation between paintings by British contemporary artist Malcolm Morley and the gallery’s collection of 18th century furniture. The exhibition will also feature a selection of highlights of African art to be offered for auction in New York and Paris this Autumn, notably from two major collections from either side of the Atlantic: one American, the other European. The latter, centred on art from the Congo, features several historic pieces not seen in public since 1937. Sotheby’s will also be hosting an exhibition of Treasures of Oceanic Art from the Murray Frum Collection at the same time, prior to their sale in Paris on September 16.